Hello, I’m Randy Wilson. I’m a Professor of Sociology at Houston Baptist University. I’m also a Southern Baptist minister. In these two roles I study the church in America. The Invisible Man blog is written in an attempt to throw out ideas about the journey of faith, to inspire, to challenge and to make us all think about where God is taking us in His Great Mission. 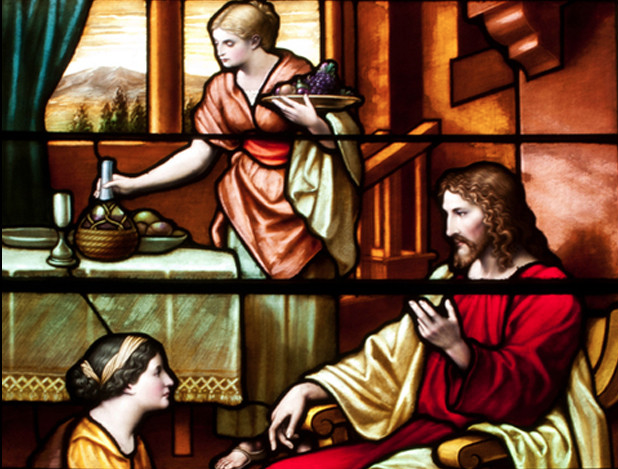 After all the tribulation in our lives, the petty concerns of each day, the cares that keep us up at night and the lingering fear that creeps around in the dark – Jesus tells Martha, there is only one thing to fill our concerned hearts with. Mary sat at the feet of Jesus and listened. He scolded Martha and said that Mary had found the one thing that could never be taken away. One thing in my life that can never be taken away. What is it that you have filled your life with that can so easily be taken away? What did you think was so permanent? On what did you lay your hopes and dreams? Upon what does your future gaze rest? Our time each day at the feet of Jesus is building something eternal in our lives that will never be taken away – not even by an 800 year flood.